The MO-76 $50sat amateur radio satellite team is pleased to announce that the PICAXE based $50sat was chosen as Project of the Month by Bath based Revolution Education who supply PICAXE microcontroller development systems. 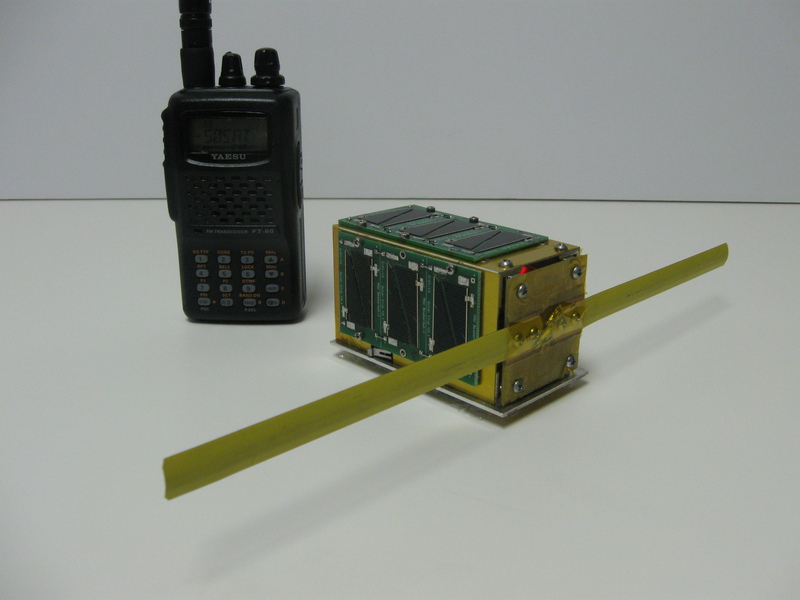 $50SAT is one of the smallest amateur radio satellites ever launched at 5x5x7.5 cm and weighs only 210 grams. Transmitter power is just 100 mW on 437.505 MHz (+/-9 kHz Doppler shift) FM CW/RTTY. It uses the low cost Hope RFM22B single chip radio and PICAXE 40X2 processor. $50SAT was a collaborative education project between Professor Bob Twiggs, KE6QMD, Morehead State University and three other radio amateurs, Howie DeFelice, AB2S, Michael Kirkhart, KD8QBA, and Stuart Robinson, GW7HPW.